Barley is a healthy whole grain that is packed with protein, fiber, and other important minerals. Cooked barley has a chewy texture and nutty flavor akin to brown rice. Barley is among the most nutritious whole grains that is packed with essential vitamins and minerals that boost the body’s overall health. Like other whole grains, barley is an excellent source of dietary fiber. The grain variety is packed with beta-glucan soluble fiber that slows down glucose absorption in the body. The high fiber content in barley can reduce blood sugar levels, curb appetite, and stimulate the growth of healthy gut bacteria. Barley is also known to promote insulin sensitivity. Barley is an ideal grain variety for diabetes management and weight loss. Barley is also found to reduce overall cholesterol and lipoprotein levels in the body. Barley’s high fiber content is also known to reduce low-grade inflammation, thus lowering the risk of atherosclerosis and heart attack. The grain variety also contains a powerful type of mammalian lignans called enterolactone, which helps prevent the onset of coronary heart disease, breast cancer, and other hormonal cancers. The insoluble fiber in barley helps reduce bile acid secretion and curbs blood triglyceride levels. This makes barley a primary choice for gallstone prevention. In addition, barley’s high fiber content rids the body of toxins, and provides fuel for beneficial gut bacteria in the colon. The fiber in barley keeps the large intestine clean, thus reducing the risk of hemorrhoids and colon cancer. The grain variety is also known to contain high levels of phosphorus, which makes it ideal for bone growth and tissue repair. The phosphorus and copper content in barley is known to keep osteoporosis at bay. Barley’s high copper content is also touted to relieve arthritis pain. According to experts, copper is an essential mineral that maintains thee flexibility of bones, joints, and blood vessels. Barley is also packed with selenium, an important mineral that preserves the skin’s elasticity and protects it against the harmful effects of free radicals. The selenium in barley is also known to promote a healthy pancreas. Furthermore, barley contains nearly twice as much vitamin C as those found in oranges. This makes barley especially essential in immune system functioning. The grain is also rich in iron that helps prevent the onset of anemia. Barley is also known to help stave off asthma. Barley is an excellent source of fiber that protects the digestive system — including the intestines, gallbladder and pancreas — from certain diseases. The grain variety is also beneficial for the heart and bones. In addition, barley helps promote healthy skin and boosts the immune system to fend off adverse medical conditions. Barley is a versatile whole grain that can be used in a variety of recipes including salads, soups and baked goods. The whole grain can also be used as a substitute for rice or potatoes. Barley can prevent diabetes, atherosclerosis, heart attack, and certain types of cancer. The whole grain also helps prevent the onset of anemia and gallstones. 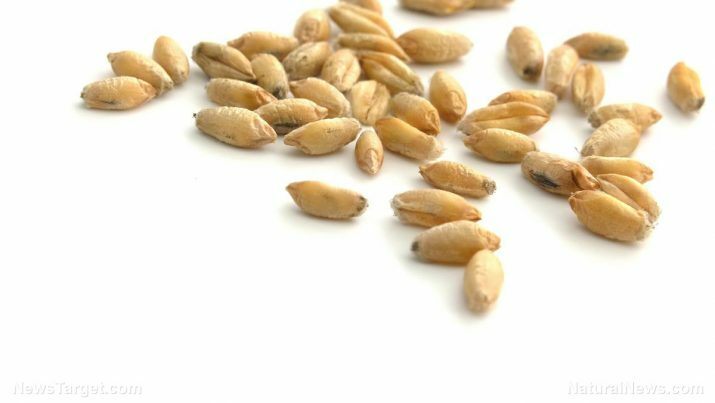 Barley is also known to prevent asthma. Barley benefits the digestive system, the heart and the bones. It also maintains healthy skin and immune system. Barley has better-than-average antiviral properties.